There are quite a lot of factors that go into raising a business’s presence online. One of the most fundamental pieces is search engine optimization (SEO.) Whether you’re a new business with a brand new site or an existing business with an older site, without having proper SEO set-up on your site, you could be missing out on valuable opportunities. India Health Help, a holistic medical tourism platform that offers patients from around the world a chance to access some of best medical services in India, came to Brandhype looking to expand their online lead generation and compete against the larger firms in their market. Our digital marketing services have offered India Health Help a great opportunity to grow their business, improve branding and name recognition, and stand out in a crowded market. Our work with India Health Help started as a simple organic search campaign. Once we started seeing a lot of success with that campaign, we were able to expand our work with the healthcare firm to include paid search, content marketing, and social media services in three different languages. Starting from SEO and organic search strategies as their primary goals were to increase branding and name recognition in the Indian market, we focused on strategies that improved their rankings in local search results. We did extensive work on their website to optimize for both user experience and SEO ranking factors. Once we found success with our organic search optimizations, we focused on other digital marketing elements. We began by managing their social media channels in three different languages (which was really a task), writing high-quality blog posts on a consistent schedule, and driving new sales leads and lowering the cost per lead on the paid search side, to keep the process under budget. Since partnering with Brandhype, India Health Help has seen a great success in growing business through online leads. They are much more competitive in their market and are able to compete with much larger practices. We truly view our relationship with India Health Help as a partnership and are enjoying the opportunity to help such a holistic medical tourism grow with the help of smart digital marketing strategy. It’s fun to make websites. It’s, even more, fun to create them from whole cloth, breathing life into an original piece of work. Longtime Brandhype’s client, The Paras World School saw an opportunity to increase its customer base by creating an innovative, cutting-edge website and social media presence, to dispel any preconceptions its target audience may have of it being an elitist traditional institution. A premier educational institution, based in central Gurgaon, Haryana, is backed by the well-established Paras Group, which has carved a niche for itself in healthcare, dairy products & real estate, over the past 6 decades. Brandhype designed and developed an engaging, content-centric website for The Paras World School. 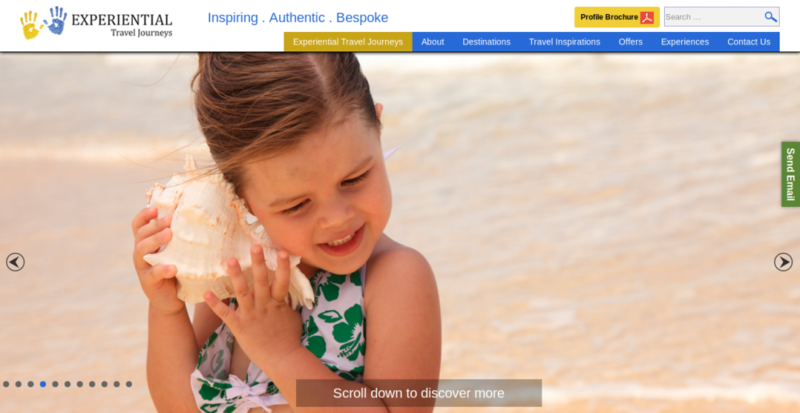 It was vital that the design was fully responsive, allowing all users to access the site easily from any device. But where do you suppose the bulk of your website’s overall traffic comes from? Plain and simple, good organic traffic comes from authentic, quality content targeted to a specific audience. On top of that, it’s vital to constantly measure your results to ensure you’re getting the right eyeballs that lead to conversions. Keeping it in mind and using the SEO research tools, Brandhype quickly pinpointed the audiences, most serious about getting their children to study in world-class school, and implemented effective SEO techniques to get the best possible ranking based on selected keywords and phrases. We also developed related content to entice the target audience by prioritizing existing content opportunities and created and optimized a content structure to produce long-term results. We took the “evergreen” content approach, focusing on creating recurring content that could be updated each year. This allowed the content to be properly indexed; ensuring future visitors would always find what they were looking for. To run alongside conversion and remarketing campaigns on Google Search, Instagram, and Facebook, Brandhype suggested the creation of an ambitious, immersive virtual reality experience, through a strong digital presence over social media to allow the target audience to discover Paras World School’s facilities, services, and location in the central Gurgaon. As a result, we got keywords ranking on 1st page of Google through our SEO Activities. The Paras World School now ranks higher than their competitors for many of the keywords and phrases originally identified in the research process. Visitor numbers from organic channels have increased by over 75% year on year and traffic growth helped the school getting the good number of organic queries for admission. We feel great when our ideas make an impact and encourage us to do some amazing work with some awesome clients! With billions of people using social media, a marketing plan cannot ignore such powerful medium of communication to existing and potential clients. With social media platforms like Facebook and Instagram, you get to see your target market up close and personal. Reaching out to followers, help you solve their problems, recommend products and services, find more customers, and beat the competition. The L’amour’s team of professionals stays at the forefront of current trends and constantly trains in the latest techniques within the hair and beauty industry. They approached Brandhype’s team to build Social Media Presence on Facebook and Instagram and enlighten people with their services. Their goals were to increase brand awareness & exposure, grow their followers for remarketing opportunities and increase targeted traffic to the social media pages. Brandhype identified the audience as people who fit the L’amour Spalon persona but were unfamiliar with the brand. Typically they were the sort of people who exude a beauty & healthy spa lifestyle. We identified them and sought to expose them to the brand by running organic campaigns and Digital PR which promoted the lifestyle they enjoyed. 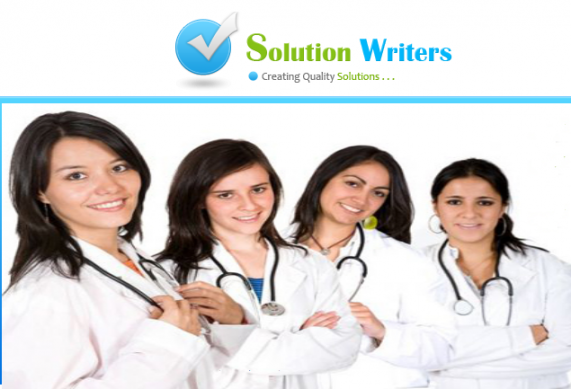 collaborated with multiple bloggers and provided them the services. Such natural and organic themes are believed to attract the customers as the bloggers posted their pictures and videos over multiple platforms and shared their great experience with their followers which increased the engagement of people in L’amour and eventually increased the number of followers and clientage. 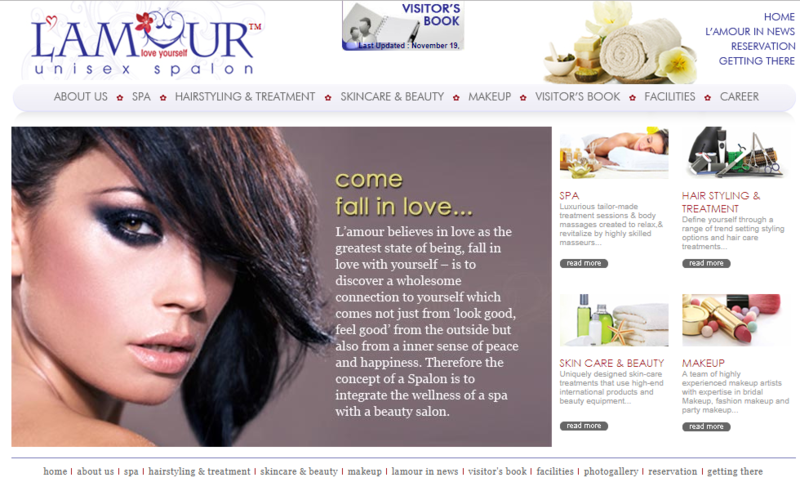 Brandhype with its joint effort and hard work flourished L’amour’s Social Media Pages and made it much livelier. Measure Gym N Spa, largest gym, health, and fitness club in Gurgaon, wanted to open and widen their online lead generation channel to increase their Gym’s membership. To achieve this, they knew they needed to partner with experts in branding and online lead generation field; so, they set out to find a company that would match their integrity and drives for success and that’s how they found Brandhype. They needed to be able to appeal to a dedicated audience as effectively as possible to convey their expertise in fitness and modern gym facilities. In response, Brandhype identified the target client for their niche market and launched a highly targeted and consumer-oriented campaign utilizing paid Lead Generation Campaigning, Social Media Marketing, and Branding to promote and increase awareness, reach and engagement with clients. We needed to transform their brand image and social media platforms into an Unstoppable Lead Generation Engine that turns traffic into potential members. To do this, we carefully showcased their business on Facebook and other social media platforms to connect with different types of audiences to allow greater reach and engagement. Utilizing different channels to market Measure Gym’s infrastructure, services, USP, testimonials, contests, helped generate interest and buzz that they wouldn’t have gotten otherwise. Our Lead Generation Strategy, Branding, and an effective Facebook marketing strategy produced the far-reaching digital footprint strongest Measure Gym N Spa wanted strong. Today their page looks much more professional as compared to the 2nd week of July, it had around thousand followers back then but now the page is far richer in terms of Likes, followers, leads, sales, and engagement. They are completely satisfied with Brandhype’s creativity and proactiveness as a good number of leads turned into potential customers on a daily and monthly basis. We were tasked with creating a new branding identity and website for Gold’s Gym in Panipat to both drive new membership and better engagement with their existing members. With Gold’s Gym being such a place of fitness experience, inspiring individuals to seek adventure, as well as get in the best shape of their life, it was imperative that our creative execution resonates with our audience. In the first place, more than ten different ad campaigns were deeply penetrated into Panipat area. Brandhype performed a detailed market analysis of the new site, analyzing individual neighborhood demographics to identify areas where they had the best opportunity to increase their membership down the road. 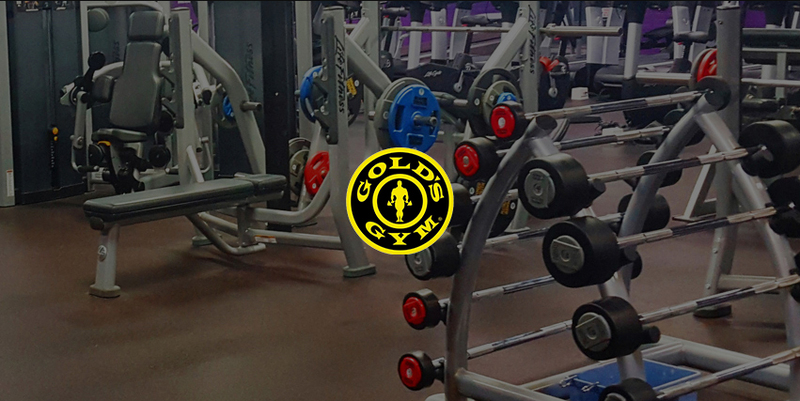 Once the target market was identified, Brandhype worked with Gold’s Gym to identify the best approach to ensure all of their target market was being hit, while not hitting the same area too often. As a continued effort to increase membership, we also effectuated advanced social media steps for the website to ensure better and stable results across the social media. We executed various Ad- campaigns which increased the visibility of Gold’s Gym Panipat and helped in increasing membership and client’s engagement. For Gold’s Gym, we planned series of contests and offers that gave fans clear reason to follow. We built a strong community of thousands of people on Facebook where we regularly interacted with people through promotions, motivational quotes, reviews and many other activities to maintain the enthusiasm among all. We made sure to create organic content that not only brings the page to each user’s attention but encourages people to become loyal followers and customers. We generated traffic for the website and finally converted leads into customers. Thus, the campaigns optimized through relevant platforms engaged the audience, and sharing it across different networking and social media sites consequently increased memberships. 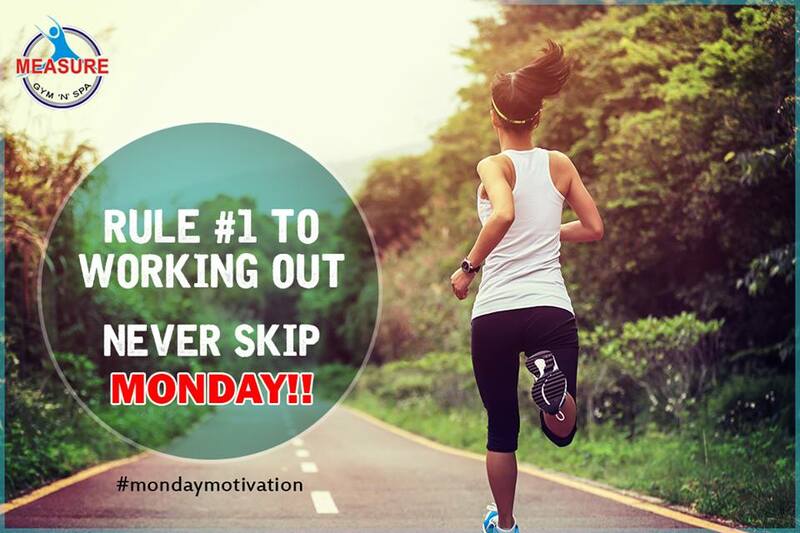 The process turned out so beneficial for them that within a year they opened one more fitness centre and are very soon going to launch an online fitness coaching model. We think we are successful when our clients expand at such a pace after joining hands with us. Facebook enable brands to create greater visibility and exposure with highly targeted audiences. Brandhype’s initial step with any channel, before creating campaigns and reaching audiences, is to understand the various groups of people we reach or are trying to reach. From there we find and create stories and offers that relate to our audience. For Bookpal’s Mega Book Donation Drive, our Brandhype’s team piloted multiple Facebook campaigns to raise maximum book donations for the underprivileged Government Schools in Gurgaon. With a target demographic of ‘readers’, the plan was to utilize Brandhype’s national and regional title to get involved with their communities and people to increase engagement and registrations via Facebook. Since our only focus was Facebook, we communicated our message through localized content, Facebook post and videos in the course of two strategies: Organic and Paid. We ran Ad campaigns for the lead generation which left a tremendous impact and helped us in getting more registrations and ultimately more donations to benefit the Government schools. Organic campaigns helped us in getting awareness among target audience whereas paid campaigns helped us in getting more than expected leads. People came forward on their own for the contribution after connecting with us on Facebook. 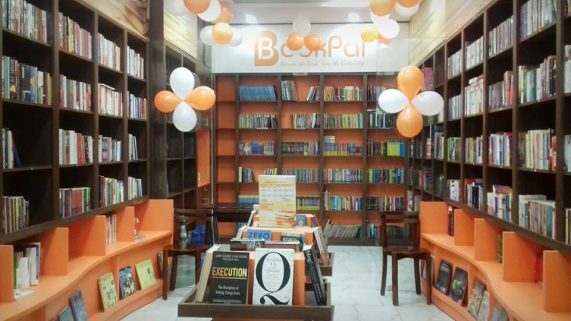 Bookpal’s Donation Drive achieved priceless benefits through our dedication, strategies and hard work. They are pleased to work with us, and so are we. Cosco came to Brandhype with an aim to enhance Digital Marketing results for its brand. They wanted to partner with an agency that has strong data-driven, multi-channel expertise to make a notable presence for their brand online, and that’s when one of our previous clients recommended them to join hands with us. 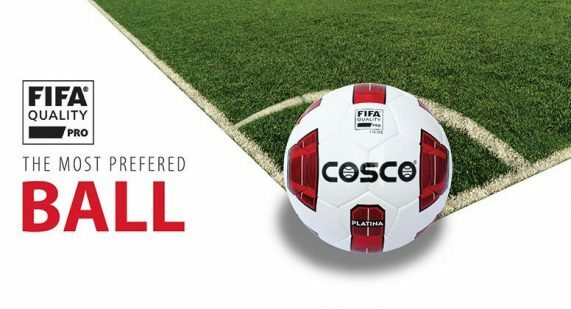 We knew that the rapidly evolving and one of the most famous sports brand Cosco was starting from scratch with a website that had no online tenure, was without any type of onsite optimization, had thin content and lacked inbound links and citations. Like all the branding projects, we started with research into the industry’s competitive space as well as the look and feel of the products that Cosco carries. As this was a brand-new website, our initial strategy was to conduct in-depth keyword research to determine how potential customers were searching online for sports products. We established and enhanced the online standards and communication strategies of the brand across all categories. Although our approach for each category and product was unique, the through-line remained consistent: connecting sports fans, athletes, and fashion-focused consumers to amazing products through memorable messaging and engaging experiences that encourage self-expression. However Cosco is not interested in selling directly, they needed to adopt a system to channelize the queries of their distributors; for which we created their brand recall value in those pockets where earlier it had nil presence i.e. in the southern part of India. Today their website ranks on first page on many keywords; the traffic on their website has grown manifolds. They are more than satisfied with Brandhype, and their customers are pleased to find more information about the company and products in online space. 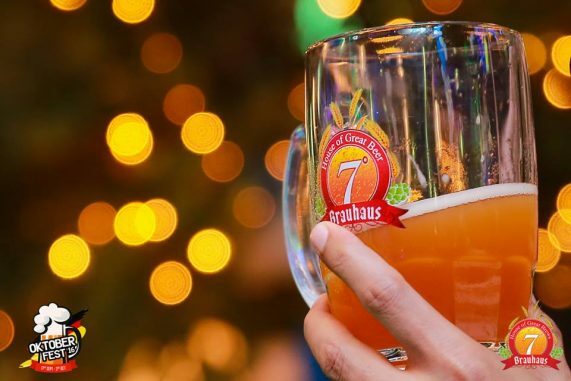 7 Degrees Brauhaus, the only microbrewery in Delhi – NCR serving authentic German brews is located at Golf Course Road, Gurgaon. Known for its lip-smacking German & Global cuisine along with its award-winning beer, 7 Degrees Brauhaus is a benchmark in the food & beverage industry. 7 Degrees Brauhaus is often appreciated for the fresh beer, food & its impeccable service to the customers. So why leave out its audience online? Hence, Brandhype was brought into the picture to help the brewery engage with its potential customers online and help them generate revenue through SEO, Social Media & PR. With the heavy competition in Gurgaon, it was not an easy task to take up the SEO project but with our expertise, we made it possible and helped 7 Degrees Brauhaus come out on top on various important & frequently searched keywords. While the Social Media pages is one of the most vibrant in its industry, the PR efforts of Brandhype have helped the brewery gain traction from various corporate companies, reviewers & bloggers. The mission for the best digital marketing company, Brandhype was to help out 7 Degrees Brauhaus become the best in its industry and we can safely say, we’re not that far from it. A name that everyone can trust for exceptional consulting needs with Organizational and Leadership Development solutions.Their goal of seeing businesses prosper with proper training and customized skill transfer methodologies have achieved them laurels of success in the past few decades. Their specialty in Leadership Workshops, Culture Transformation Technique, Engagement Surveys and many other transitional activities stand them apart from the crowd. Brandhype is claimed to be the top digital marketing company in Gurgaon in search results by Google and this helped us gain many clients and one of them being InspireOne. With our collaboration now and may be our charm, we have managed to rank InspireOne too as first page ranking on Google search. What a bliss it is when people trust us and we can pull the task off as per their expectations. With the inclusion of almost 20 to 25 keywords in the contents, we got the result in a few days. They had been doing well earlier and as they say “we are doing better now”. Hearing such valued words clients keep us going even farther. There is no question of less result or no result with Brandhype. We target to either meet the expectation or exceed it. Experiential travel is all about going beyond the sightseeing by immersing oneself and becoming a part of the moment being experienced. The engagement is so profound that your travel experience leaves you enriched and rejuvenated at a deeper level. One connects with the ethos of the place in such a wonderful manner that it helps unwind and rediscover yourself. Brandhype, the best digital company in Gurgaon came into picture giving face value to the concept and promoting it online. lalchandanipathlab.com is a state of the Art NABL accredited lab, which has been existing since 28 years and has about 20 centres across Delhi – NCR. With decades of trust, quality and accessibility, Lalchandani Path Labs have a dominant presence in the medical industry. When they wanted Brandhype to do their SEO, we took it as a challenge and since then, our team has been working in an intense fashion to fulfil our client’s goals. Lalchandani Pathlabs aims to expand its footprint in India by entering cities like Mumbai & Bangalore. Meanwhile, Brandhype aims to help Lalchandani set a platform before their expansion begins, by providing them a prominent presence on all search engines. 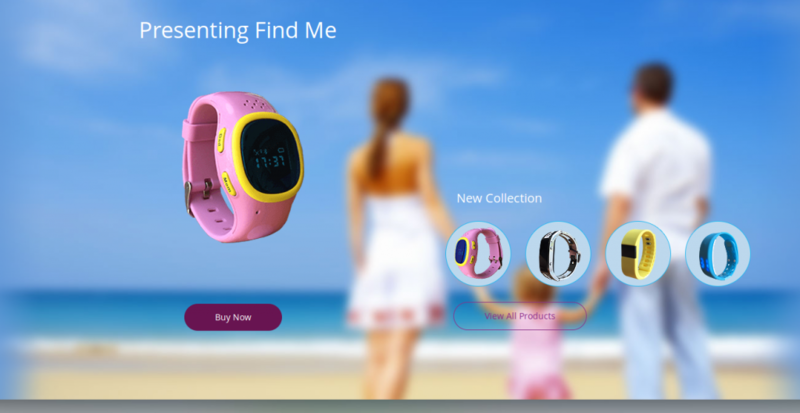 ​E Purple sky is Online Shopping Portal, one place with a unique line of product portfolio. ​They have a few latest gizmos, out-of-the-box products under the house of PurpleSky. One of ​their​ key in-house brand “FindMe” is an amazing handy GPS (Global Positioning System) personal tracker an imperative need in today’s environment. “Studentacco, an online marketplace of property owners and customers looking for affordable paying guest (PG) rooms in Delhi/NCR. They approached brandhype for Content Marketing, SEO and Search engine Marketing. Studentacco helps students and professionals in finding a wide range of pg’s and rental flats with lucrative offers. Brandhype’s Digital Marketing Experts devised viral action plan helping this start-up to gain good website traffic along with handsome daily leads by engaging student audience and effective Google campaigns. Studentacco, Noida based start-up is now a well versed brand and they are also stepping ahead with branded accommodations now. Brandhype, best SEO company in Delhi and NCR is obliged to Studentacco team for trusting us. Parasbliss.com is a part of Paras Hospitals and one of the most successful healthcare centres in Gurgaon, with an aim to expand its footprint and provide affordable and quality medical services, they approached Brandhype, the best online marketing company in Gurgaon, for Online Marketing services. Brandhype’s experienced team set out on a mission to help Paras Bliss achieve its goal. Step one of a strong strategy, is to make sure that the website content & products are the best that they can be while step two is to communicate that user experience information to search engines to help Paras Bliss rank right in the right place. SEO is competitive and is known to be a dark art but with the help of our team, Paras Bliss has kicked off on the right note. 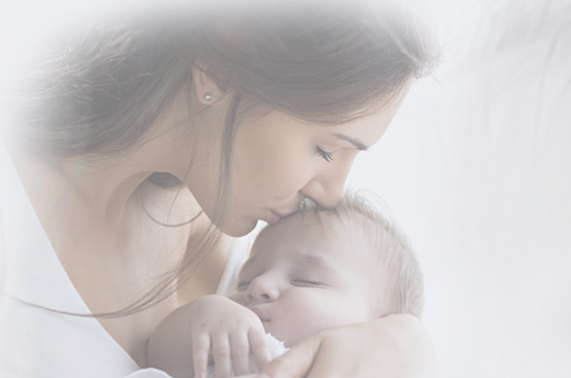 With a blissful ideology of creating the right environment to provide more for motherhood, we will ensure Paras Bliss has a prominent presence across search engines. Merchant Sim Card has a very unique product for the savvy travellers. It must be a pain to look at your phone bills after coming back from an international trip. Charges on incoming calls, text messages and the ridiculous data prices often come as a shock. If you’re tired of spending so much on roaming, then Merchant Sim Card is what can help you. This amazing service for travellers has greatly reduced the cost of using a cell phone abroad. And when they gave Brandhype the opportunity to take over its Social Media, we were delighted! Our challenge was to create awareness among the target audience about the unique packages and prices this service can offer. We had to generate an interest & desire among the audience to come forward and try the Global Sim Cards. And being the best digital marketing agency in Gurgaon, Brandhype has been working meticulously and aims to put Merchant Sim Card on the top of the ladder in its respective industry. yourmedics.in is a simple, user-friendly healthcare platform that helps patients connect with doctors and share relevant health information to attain the required medical service. In short, it is a place that brings doctors and patients together. YourMedics enables you to consult any healthcare specialist online anytime, anywhere. But a service this good, was not getting the attention it should and this brought Brandhype into the picture. Being the best digital marketing company in Gurgaon, Brandhype was given the task of helping out Your Medics with their online presence, SEO, PPC campaigns & also content writing. With the heavy competition for SEO, it was not an easy task but with our unmatched team of professionals, we were able to bring positive changes and results over time. Their presence in the Digital World only saw more improvement since Brandhype took charge and with a good PPC strategy, Your Medics achieved a good hit-rate, enabling us to complete our targets for the client. Brandhype hopes to continue this progress with an aim to help Your Medics reach a prominent rank in the digital space. 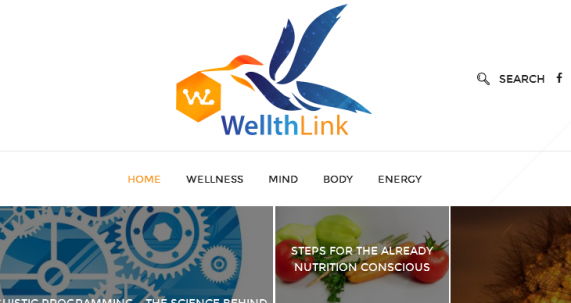 With an interesting concept of creating a happier & healthier lifestyle among people, wellthlink.com focuses on creating awareness among people about the benefits of alternative therapies. It becomes your online resource for everything related to wellness and helps you explore various solutions addressing your mind, body & energy. It is your complete guide to greater ‘wellth’. When Wealth Link thought about promoting its unique portal over Social Media and email, they approached the best digital marketing company in Gurgaon – Brandhype. Equipped with a challenge to help Wellth Link create awareness about their services and generate hundreds of leads, our diligent team got onto the job. With optimum digital marketing strategies & techniques, Brandhype was able to achieve the targets set by the client and has continuously shown significant progress over time. With the right strategies in the Social Media space and with the help of effective e-mail marketing techniques, Wellth Link has quite an engaging & informative presence in the Digital World at the moment. Well, if you are swamped with too much homework given by your school or university, solutionwriters.com have the perfect solution for you. Yes, professional homework writers, that offer services such as course work, reports, college & school papers, case studies, editing and proofreading. When Brandhype was approached for handling its online marketing, we suggested SEO & PPC campaigns as our primary medium of marketing as the target audience being mostly students are known to be tech savvy. The next step was to develop the perfect strategy and help Solution Writers generate leads and add value to their business. And the experienced team that helped us become the best SEO company in Gurgaon, once again proved their merit and overcame every obstacle helping our client achieve its goal. 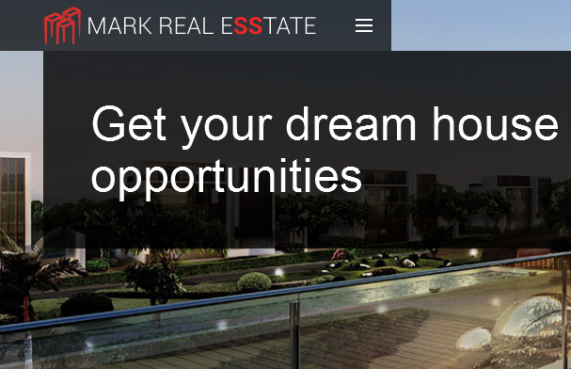 With an established track record of more than two decades, markrealesstate.com is a team of experienced and trusted real estate professionals. A firm that has provided homes to hundreds of families in India & abroad, was still hungry for more and hence, approached Brandhype for SEO and comprehensive digital marketing services. The main USP of our client was its focus on rigid quality & timely delivery of the projects. Keeping this in mind, our team of professionals devised a customized digital marketing strategy targeting the right audience to yield the best results. The SEO was also done meticulously with the intention of creating a prominent presence for Mark Real Esstate onto the digital space. With a lot of efforts and dedicated time, our experienced team was able to achieve our client’s goals within the given time. Touted as the best SEO & digital marketing company in Gurgaon, we aim to continue devising new strategies and help Mark Real Esstate develop a dominant and unmatched presence on the web. 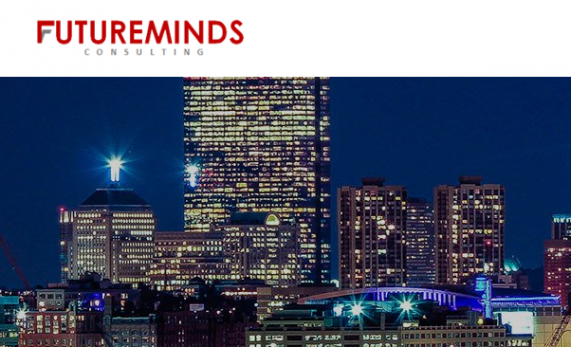 Comprising of a top-notch team of experts providing information & insights to businesses, institutions & individuals, futuremindsconsulting.com aims to help their clients quickly & effectively achieve their work objectives. The experts, provided by Future Minds, have a prolonged experience through practice & education in particular fields. For firms, that are short on time to complete their projects, Future Minds is their go-to option for the right guidance & assistance. It was also important to create a buzz about this unique service and hence, Brandhype was approached for this precise task. Being the best digital marketing company in Gurgaon, we helped Future Minds develop the perfect strategy complimenting their services & expertise and were able to reach out to the desired audience. Primarily, it was with the help of PPC (Pay-Per-Click) campaigns, which works wonders on the digital space, that allowed us to achieve our target. The team at Brandhype were able to absorb the client’s needs & vision that helped them crack the most effective way to generate leads & sales for Future Minds. We hope to continue doing the great work for each client and also wish Future Minds all the luck in the future!